It ’ s crazy when I think about how many plastic containers of shampoo, shower gel, etc. I must have thrown away. Through my blog I try out various natural cosmetics, from low-budget to the more luxurious price segment, from small to large bottles, pots or tubes. 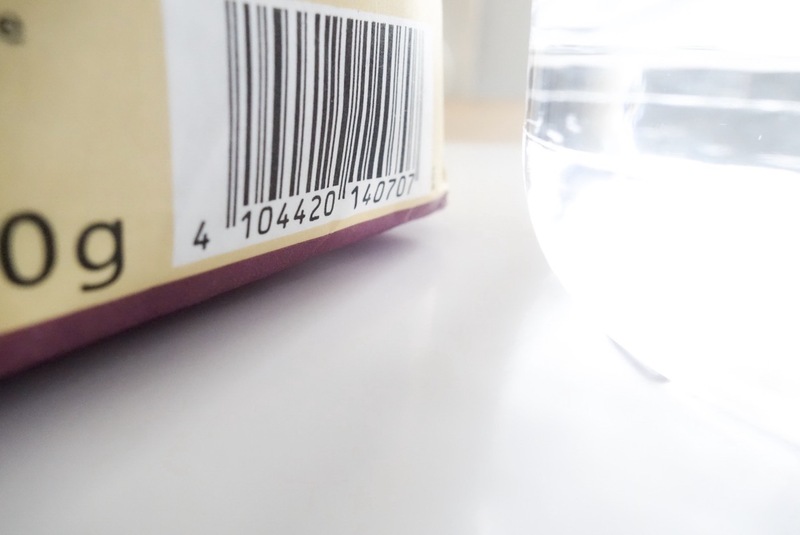 Some of the packagings are made of recycled materials, glass or renewable raw materials. Nevertheless, I am always looking for a Zero-Waste replacement for one or the other product. While this sometimes works very well at home or with everyday things, it hasn’t worked out so well with me and Zero-Waste-Shampoo so far. The solid shampoo is not mild enough to my scalp, in the long run, white clay makes my hair dull and why it didn ’ t work out with me and rye flour – that ’ s a long story that should be the subject of today. That ’ s how it all started! I first heard about hair washing with rye flour at cosmetic vegan.de. She ’ s part of the hair band, too, by the way. 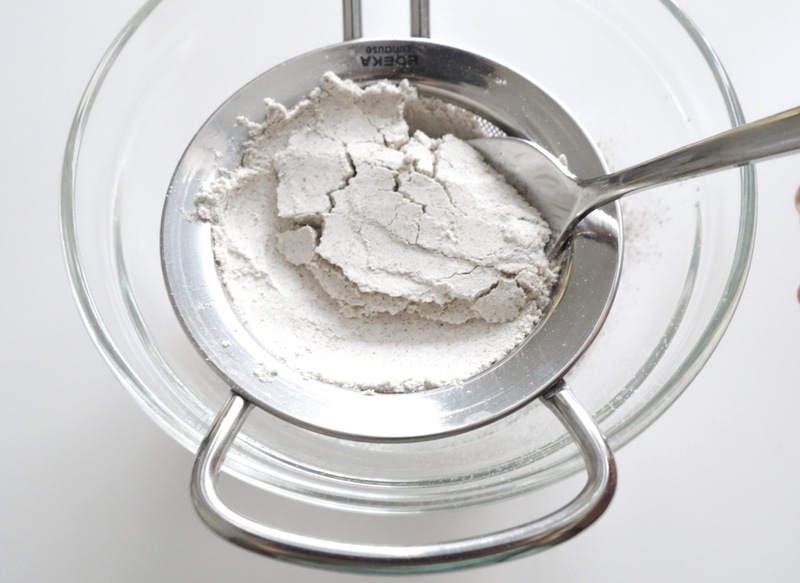 In this article, She explains why it is worth giving rye flour a chance, because it contains pantothenic acid, which turns into the main substance panthenol when it penetrates the skin. It is important that the washing only works with rye flour (and possibly with chickpea flour), most other varieties, such as wheat flour have too much gluten and would only stick to the hair! All you need is a few tablespoons of rye flour and cold to lukewarm water. If the flour contains many parts of the shell, such as the wholemeal rye flour, which I used here in the photos, it is a good idea to sift it first. My strainer is almost a bit too wide-meshed and only the biggest parts of the shell get stuck. Then simply add some water and stir well. Since at the beginning now and then small lumps are to be seen, I wait sometimes still 10-15 minutes and stir afterwards again, then all are guaranteed disappeared. Then the mixture, which now feels almost like gel, is massaged into the scalp, left to act for one minute and then rinsed off. My hair always got very clean and felt fresh. Last year I washed my hair with rye flour for over three months, friends of mine still wash their hair like that. The advantages are more voluminous hair with more grip, less waste and, what pleased me the most, a calmed, less stressed scalp. Itch less and my washing cycle lengthened. The feeling of cool mixture on my head was much more pleasant than shampoo and I have to say that I miss it a little. 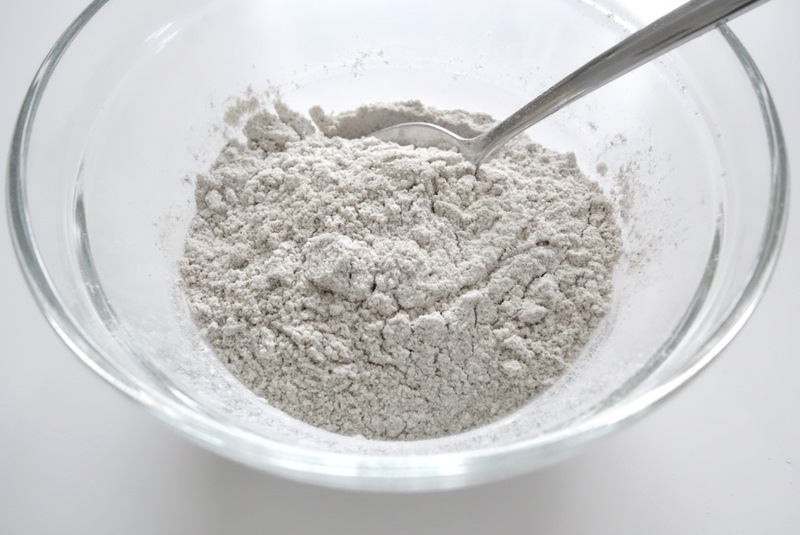 You also have the two ingredients almost always in the house: a pack of rye flour and some water. Apart from a paper bag, there is no unnecessary waste. But why didn ’ t I personally stay and use shampoo again? 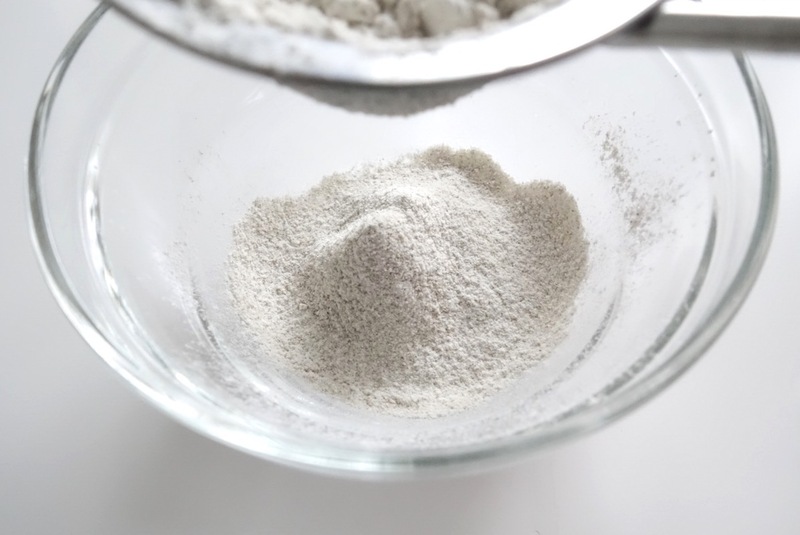 One point is that coarser flour, such as the wholemeal rye flour above, is less suitable for washing hair. The small pieces of shell get stuck in my hair and to get them all out I had to comb my hair slightly, similar to vegetable hair dyes. The finer the flour is ground, the better. Unfortunately, there is hardly any finely ground rye flour to buy from us, I had taken two packs with me the last time I was in Stuttgart, but they were soon used up. But that could have changed in the meantime, so I still have to try something. Another reason is the handling. 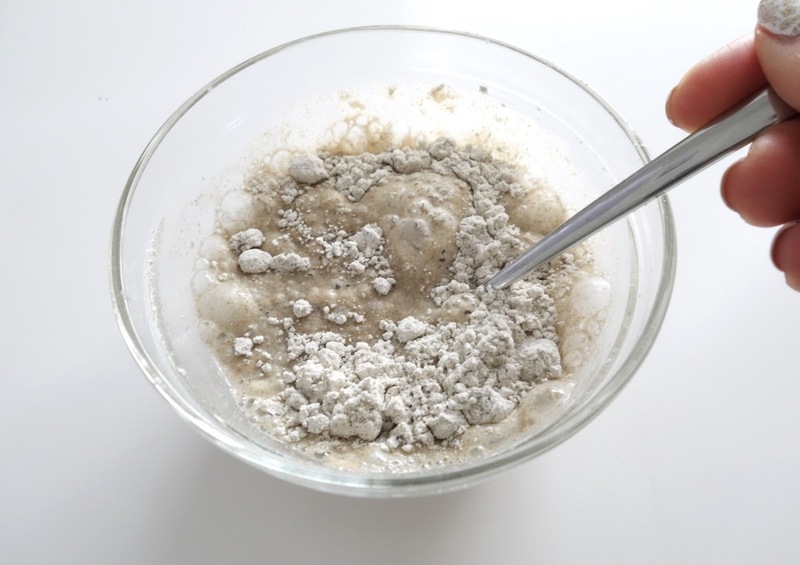 If I get up too late in the morning and still have to wash my hair, it is much faster to open a shampoo bottle than to sift and mix rye flour first. 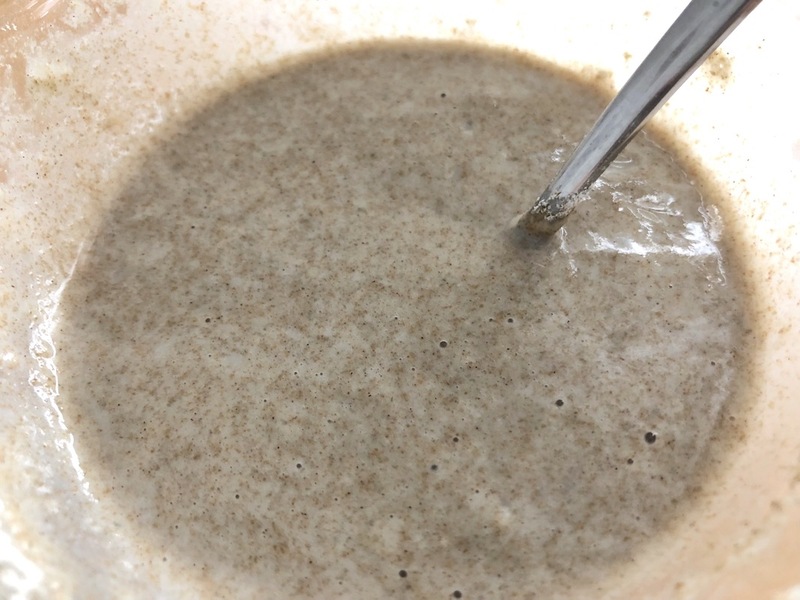 If I find finely ground rye flour now, it won’t be a problem anymore, but especially after travelling, when I had a shampoo with me for practical reasons, it was difficult to get used to it again. There is one last reason that bothered me the most: After several months of rye flour washing my hair, especially my roots, became duller and more and more covered. The hair didn’t feel good anymore. Usually, a simple acid rinse helps to straighten the hair again and to remove remains, but somehow this did not help me. In addition, I also had to give it over the hairline to give it a deep cleansing, but that irritated my scalp. But what helped was a wash with shampoo. So what have I just learned from my lyrics? I am happy to have dealt with the subject once again because today I washed again with rye flour as a trial and noticed how good it is for my scalp. I will look around to see if I can find a finer flour and try to wash my hair with rye flour at least every second time. So I give my scalp a little break but clean my hair with shampoo every now and then. Since 2014, “Project cosmetic change” has been all about switching from conventional cosmetics to natural cosmetics. Theresa continuously takes small steps towards a simpler life. Have you tried an alternative washing method? Do you deal with the subject of zero waste? I have tested much the last few months. Rye flour was also. Produce also cosmetic and cleaning products, was there. Unfortunately not with so much success as I have imagined. I just want to do something for my environment and my own. Have imagined only unfortunately easier, When it was. But now found my way and my product brand, the me of the content as well as the sustainability to 100% convince. Am now even self-employed consultant for this company and verdienene me also a little bit of money. If we all help our world will hopefully soon again etwad Green. 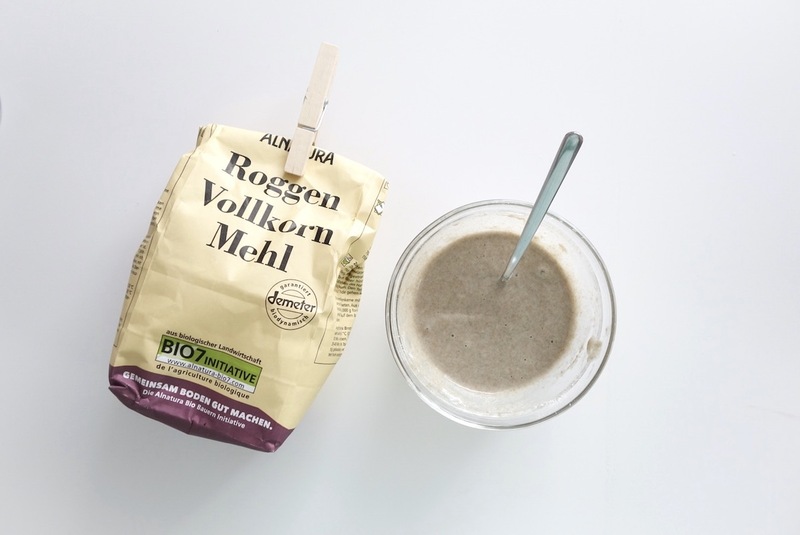 ich beschäftige mich genau wie du immer mehr mit dem Thema Zero-Waste und habe schon viele Produkt-Alternativen gefunden, die mit weniger Müll auskommen und plastikfrei sind. Beim Waschen der Haare ist es daher umso schöner, dass Water Only bei mir so gut funktioniert. Ich brauche aber unbedingt die sauren Rinsen, da ich kalkhaltiges Wasser habe, was mein Haar und meine Kopfhaut andernfalls unschön belegt. Übrigens finde ich es auch schon bemerkenswert, wenn man beispielsweise ab und an auf Roggenmehl setzt, selbst wenn man zwischendrin mal wieder mit Shampoo wäscht. Für meinen Freund, der täglich wäscht und mal mit Lavaerde experimentiert hat, habe ich damals eine größere Menge für etwa 3 Wäschen in einem Gefäß angerührt, was ich im Kühlschrank gelagert habe, sodass er nicht täglich etwas anrühren musste. Hast du eigentlich auch schon Haarseifen probiert? Von Savion oder auch Flow wird ja hin und wieder geschwärmt. Vielleicht wäre das auch etwas für dich (: . Oder die dunkle Lavaerde. Mit dieser habe ich mir ein halbes Jahr die Haare gewaschen und war sehr zufrieden damit (: . Liebe Grüße und ich freue mich sehr über die Aufnahme in der Haarbande (: . Ich habe es auch schon einmal ausprobiert, mehrere Wochen lang, doch der Geruch nach Talg meiner Kopfhaut, so als hätte ich nie gewaschen, verstärkte sich immer mehr und ich empfand ihn als untragbar für mich und meine Umwelt. I wash now for four weeks with rye flour and my scalp has calmed down wonderfully – no dry places, incredible shine in my lengths. Laundry with rye flour worked great even on travel. I sift through although not previously, have my lot before but weighed me and wrapped – with a little organization, it is absolutely feasible, but of course something more complex when compared to the shampoo. The remains of the rye flour have also bothered me after the first two washes, the removal of the remains is a bit tricky with very long and still to dark hair. Work with me the thorough rinse in the sink with subsequent acid rinse and brush off the residue after drying now without any problems.